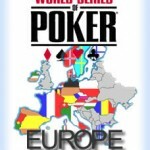 After completing their second day of play, the WSOPE Main Event is down to 92 players. Day 3 action will kick off at noon, with the remaining participants playing down to 36 –which happens to be the number of players who will reach the money. When play resumes the field will be faced with 800/1,600 blinds and a 200 chip ante, so there is still a lot of poker to be played. Other players still in the running include: John Juanda (39k), Antonio Esfandiari (173k), Barry Schulman (111k), and Annette Obrestad (90k). This entry was posted on Tuesday, September 29th, 2009 at 8:03 am and is filed under Poker News. You can follow any responses to this entry through the RSS 2.0 feed. You can leave a response, or trackback from your own site.